Poly cystic ovarian syndrome has become a major disorder which can affect the reproductive health of a woman and at the same time, it can degrade the quality of life. This is actually a metabolic disorder which can cause an imbalance of multiple hormones. When this happens the major symptoms that occur are skin pigmentations, increase in body weight, irregular menstruation and sometimes infertility. There are Ayurvedic medicines to cure Pcos but one also needs a proper combination of Ayurvedic medication and dietary modifications along with regular exercise or yoga to get relief from the disease. It is said that Ayurvedic panchakarma mainly works on the imbalance that leads to Pcos. These imbalances include insulin resistance, sluggish metabolism, massive imbalance of reproductory hormones, imbalance in fat metabolism and many other things. This Panchakarma helps to detoxify the body by cleansing them properly and can restore the hormonal and metabolic imbalance so that the women suffering from Pcos get relief. 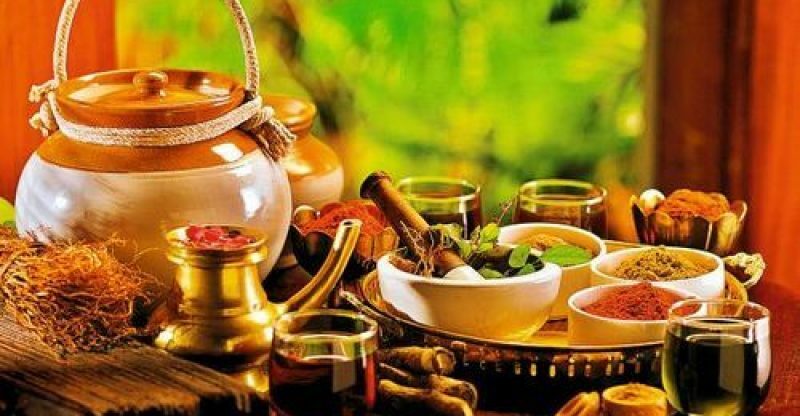 Here are some effective Ayurvedic therapies that one can try in order to get rid of this problem. It is a kind of therapy that detoxifies and cleanses the body by removing the toxins and that too in a planned way. It induces emesis which is also known as vomiting. This therapy is mainly done in the season to spring to get best results. It balances the hormones and then boosts fertility. It also helps in losing body weight. This is a very advanced therapy which includes a lot of contradictions and indications. But this may not be suited for all the Pcos patients and so one should be careful before considering this therapy. This is another detoxifying therapy and the main function of it is the removal of the toxins from the body by inducing purgation or increasing the bowel movements. This therapy is said to be done mainly during the fall season and this one is very much effective on women who are suffering from symptoms like heavy periods and obesity. It can also keep in control the skin pigmentation and the hormonal imbalance. It is a very effective therapy for Pcos and this helps to boost the fertility in a woman’s body. it is a painless therapy by nature and it includes a series of medicated enemas. They are performed for a series of days. This therapy includes the use of medicinal oils, ghee and some herb decoctions and it can be customised depending on the health need of the patient. This therapy also nourishes the reproductive system and detoxifies it at the same time. It is indeed the most popular therapy used in Pcos treatment. This is an external therapy which includes some dry powder massage in the entire body. It increases the blood circulation and lymph and then detoxifies the skin well. This is also a very popular therapy. One can thus take Ayurvedic treatments for Pcos infertility because they can treat a woman without any noticeable side effects and help them to stay healthy and fine.